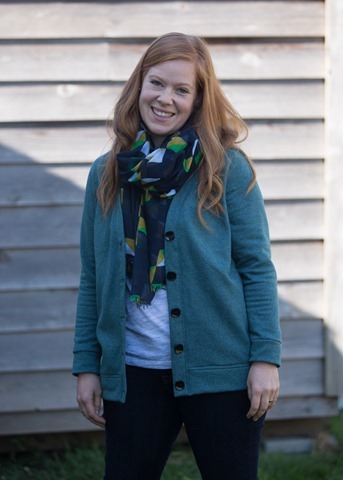 Last week I saw Lauren of the Lladybird blog had posted this finished cardigan. It was fantastic. And simple. 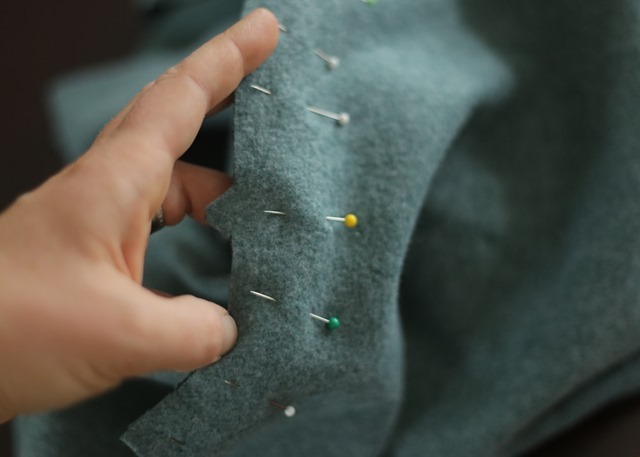 And easy to sew. And I wanted a million immediately. I decided for my first one to make something that I wouldn’t care if it got ruined could wear camping, mucking around and playing with the kids. I chose a simple and affordable sweatshirt fleece that cost about $16CAD for the 2 metres. Perfecto! And the buttons cost about $5 in total but I’ll pull them off if anything untoward happens to this masterpiece! I didn’t add the pockets although I cut them out. In the end, I decided the front of the cardigan looked a bit bulky with them. Because I wanted a boxy, oversized look that I could pull on over anything, I thought the pockets made it look quite bulky in the front. For those who have read for a while or know me in real life, I am quite curvy. When I was reading Amy Herzog’s Fit to Flatter and took my measurements, I am actually a true hourglass shape. My shoulders are the same width as my hips but I have quite a narrow waist. The boxy look isn’t great for me – I need a bit of side shaping. But that’s what I made this first one for mucking around in as now I have a prototype and can improve it from here. Unlike my mother, who’s a big sewist, I love sewing with knits. There’s very little ironing, the clothing looks commercial when finished because lets face it: we all wear knits all the time, and construction is generally very straight forward. The set it sleeves for this pattern fit perfectly and look awesome. 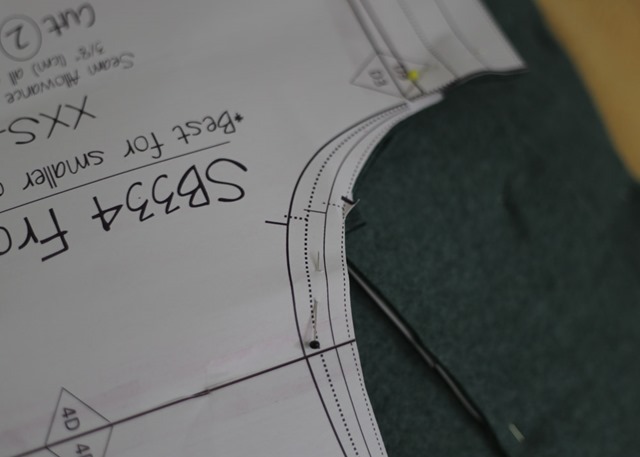 How many patterns have I made over the years that had ill-fitting pattern pieces?! 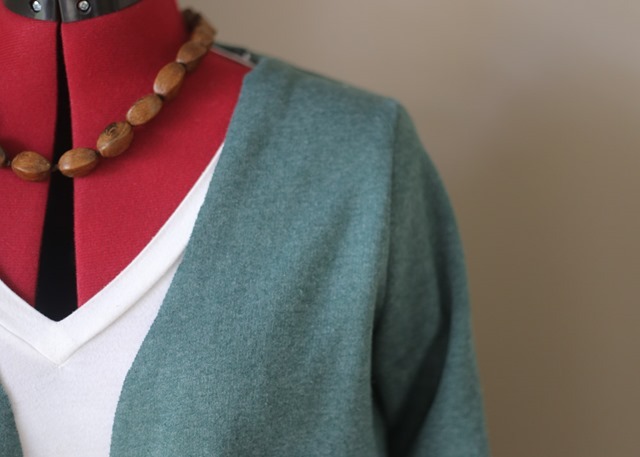 I mentioned above that I made the medium size, which was for a 40” bust cardigan. I liked the idea of being able to wear long-sleeved t-shirts underneath so the 6” positive ease sounded like a good idea. I’m not saying it wasn’t but the option in the pattern to use a smaller or larger front piece based on your cup size?! Brilliant! Now that I am no longer breastfeeding, I am back to my small B-cup and this sounded like a great option for me. Low and behold it was! I’ve never made an SBCC pattern before but this won’t be the last time I buy one of Betsy’s patterns. 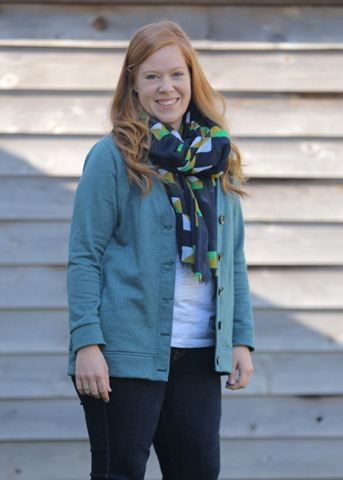 I love the versatility of her patterns – there’s quite a few options even just on this simple, straightforward cardigan. I will use the side shaping next time. And I will lengthen the sleeves by about 2” as my arms are long (I always lengthen my knitted cardigan sleeves if you’ve noticed). Lastly, I bought the PDF download. I will definitely do that again. Some of the PDF downloads I have bought in the past didn’t print and fit together properly. 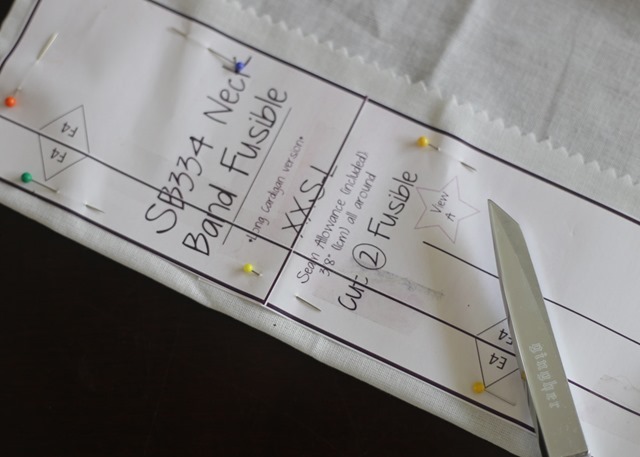 This pattern was bang on – each printed piece was perfect and, while it took about half an hour to tape it all together, the resultant pieces are perfect. 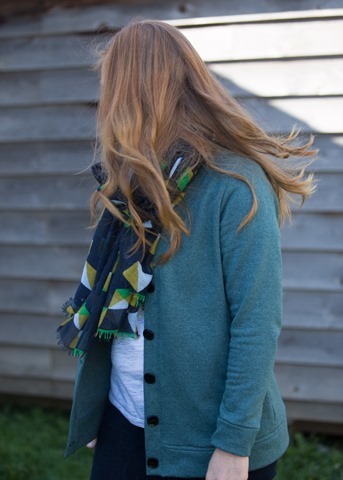 So, for a relax and enjoy the sunrise kind of cardigan, this is perfect! Previous Post blending with blends.